The appropriately titled documentary film “HALF THE ROAD: The Passion, Pitfalls & Power of Women’s Professional Cycling” explores the world of women’s professional cycling, asking why, when it comes to professional cycling, women aren’t receiving their fair share of the road. Featuring race footage and interviews with Olympians, development riders, Ironman and marathon champions, pro team directors, and more, the film offers a unique look at what makes the women’s pro peloton tick. Check out the preview video here. The documentary’s filmmakers are seeking help with funds for distribution, screenings, film festival entries, travel, and rights to Olympic footage. Support the project on online crowd-funding platform Indiegogo by making a contribution of $25 to $10,000 dollars. ($100 gets you a pre-ordered DVD and puts your name in the film credits.) Currently, with 44 days remaining in the campaign, $17,706 has been raised of the $65,000 goal. If you’re a supporter of women’s cycling, make it happen! It’s that time of year again. One of Austin’s most popular multisport races is happening this Monday, bringing a sell-out crowd of 3,000 athletes to compete in downtown Austin. Celebrate the 2013 Capital of Texas Triathlon and the public holiday with ATC’s Memorial Day sale! All hands will be on deck to make sure you find what you’re looking for, and vendors from Mavic, Cervelo, Fuji, Bell, Giro, Zevlin, and Shimano will also be helping out. 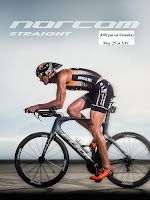 Meet top pro Matty Reed and check out Fuji’s new superbike, the Norcom Straight. Matt Reed is an American elite triathlete. Reed became a US citizen in 2007, and currently lives and trains in Boulder, Colorado. In 2009, Reed won 7 triathlons and the Toyota Cup Series. His triumphs came at Ironman California 70.3, Miami International Triathlon, Pan American Championships, REV 3 Half-Ironman, Life Time Fitness Minneapolis, Chicago Triathlon and Dallas Triathlon. Reed was named USA Triathlon’s Athlete of the Year for 2008. He won the US Olympic trials and placed thirty-second at the Beijing Games. Reed also finished fifth in the 2008 World Championships, the highest place ever for an American male. 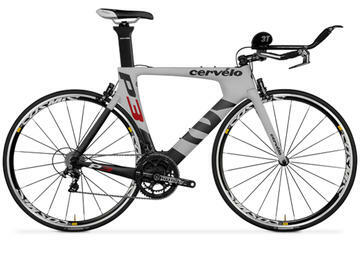 The pinnacle of Fuji innovation, design, and engineering, the Norcom Straight is one of the fastest bikes in the world. But most importantly, it offers more positioning options than any other superbike: If speed is the goal, fit comes first. Meet the Norcom Straight. ATC offers sleeveless and full-sleeve wetsuits in men’s and women’s cuts for rent. Click here to make your reservation request online or call 512-494-9252 and ask to speak to Missy. Limited availability. Wetsuits must be picked up at ATC downtown location. Extended store hours Saturday & Sunday at ATC Downtown! ATC 360 is a very different sort of dillo. The new store, opened this February, is located in Westlake’s upscale Davenport Village. Adjacent to Highway 360, a popular route with cyclists, and next door to popular eateries like Maudie’s, Uno Café, and Eleven Plates, ATC’s second store is in a prime spot. Blending in with the surroundings as any respectable xenarthran must, ATC 360 is the same grease-smeared dillo you know and love in a top hat and tails. Missy and Don Ruthven have owned ATC downtown on Barton Springs Road for 12 years. While the idea of a second store had often come up, the stars had never quite aligned before the end of last year. ATC 360 was once the home of bike shop Cycle 360, and driving by the location in late October, Don’s question of “Whatever happened to that space?” quickly turned into a “What if...?” Missy and Don got the keys to the building in early December, and after eight weeks of gutting and refinishing the interior, they opened on February 9 with a well-attended party and a few truckloads of Coors. Though ATC 360 doesn't have the same charmingly grungy South Austin character of ATC downtown, its unofficial slogan is “Bringing the Weird to Westlake.” ATC employees were the architects and carpenters of nearly all the interior improvements, building up the display racks, decking, and service counters as skillfully as any new P5. 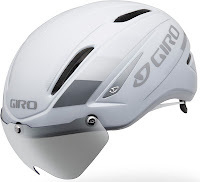 The inventory is largely the same between the two locations, with the full range of Cannondale, Cervelo, Lightspeed, Quintana Roo, Boardman, and Kestrel bikes, as well as triathlon and cycling apparel and accessories. Based on demand, however, ATC 360 is beginning to offer a wider selection of mountain biking equipment. Though ATC downtown continues to do all wetsuit rentals, customers who call in advance can pick up their rental at the 360 location. For many athletes, ATC 360 is a location of greater convenience. The store serves an area without any other bike shops and offers everything the downtown store area does, minus the drive. It’s also a welcome salvation when you find yourself stranded on a ride out 360 without the right fuel or a flat kit. But even if the older dillo is still your closest dillo, ATC 360 is worth a look. After all, how often do you get to see your favorite armor-plated mammal in his fanciest duds? Stay tuned for ATC 360’s second opening party! Austinites prefer a little green space with their urban jungle. 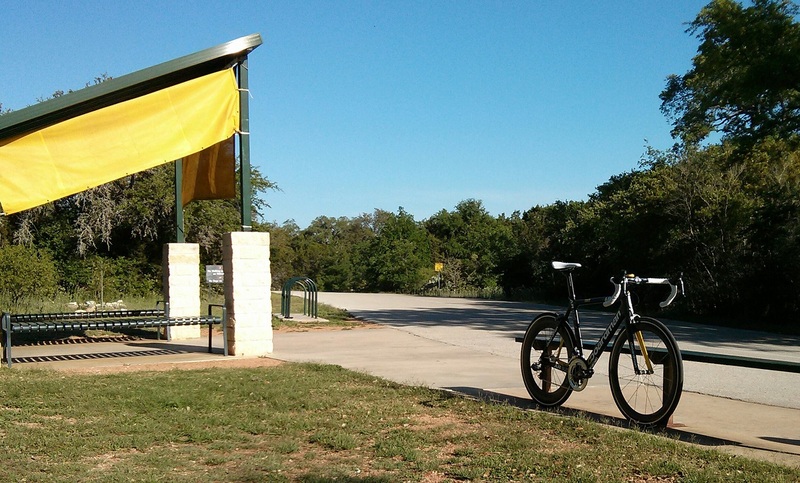 Like the greenbelts that crisscross town, the Veloway is a unique venue that highlights the city’s love for physical activity and the outdoors. Approximately 3.1 miles long and 23 feet wide, the paved one-way track is a free and public-use facility completely closed to vehicular and foot traffic, designed expressly for the use of cyclists and rollerbladers. The Veloway is surrounded by undeveloped land with small trees and brush, and in season, offers brightly colored fields of bluebonnets, Indian blanket, and other native wildflowers. Squirrels, roadrunners, and deer are common sights, as well as the occasional rattlesnake and tarantula. The track is designed in a large loop, with several hairpin turns and rises, and is divided by a center stripe into two wide lanes, the left of which is meant to be the “fast” lane. Traffic travels in a clockwise direction, and beyond the sound of a noisy free-hub or poorly maintained chain coming up behind you, there’s no road noise. The Veloway is, above all, a safe place to ride your bike. As a pleasant change of pace from pickup trucks and suburbans, indecisive squirrels are a rider’s biggest threat. And though the course isn't completely flat and “easy,” it’s a good place to bring an inexperienced or novice rider who isn't comfortable riding in traffic or navigating around obstacles. On the weekends when the weather is favorable, the Veloway is full of recreational riders and parents coaxing their kids around the loop. During the week or on particularly cold or rainy days when the crowds are gone, the Veloway is excellent for faster training, with the added bonus of building good cornering skills. It’s also a venue where, along with roller skates and inline skates, virtually any species of bike is welcome and safe—unicycles, tri bikes, road bikes, mountain bikes, recumbents, and even stranger inventions. The Veloway does have its drawbacks. For one, it’s located too far south for many cyclists, adjacent to the Ladybird Johnson Wildflower Center at the intersection of South Mopac and La Crosse Avenue. Some weekends it’s closed to the public to host private events (check the schedule here). Cracks are widening in the pavement, and the track floods in spots after heavy rains. The only facilities are two porta potties typically in an extreme state of overuse. On that note, you can sign a petition for Veloway improvements here. Overall, however, the Veloway is an undervalued space that offers a truly special opportunity to ride. As a person who loves to be outside and trusts her handling skills but not area motorists, I give the Veloway full credit for saving my sanity over the past nine months. My son will have logged approximately 85 hours of Veloway time by the time he’s born at the end of May. Many thanks to the city and the volunteers who keep this incredible space up and running, aiding the current crop of cyclists and building a future one. Only bikes & rollerblades allowed. Closes at dusk. No night riding. No removing or disturbing flora and fauna. Allow lots of space when passing. If you’re going to “race,” make sure the other person wants to. Don’t assume another rider wants to be drafted or wants to draft you. Take Mopac South to La Crosse. Turn left on La Crosse. Park on the street or in the dirt parking lot to the left. The Veloway is clearly marked. There are also some unofficial dirt paths to the veloway behind Bowie High School (avoid this route during school hours) and neighborhoods off of Brodie Ln. These are visible on Google Maps.